Give your guests the chance to win a cash prize of up to £1000 whilst you are supporting our hospice on your wedding day! 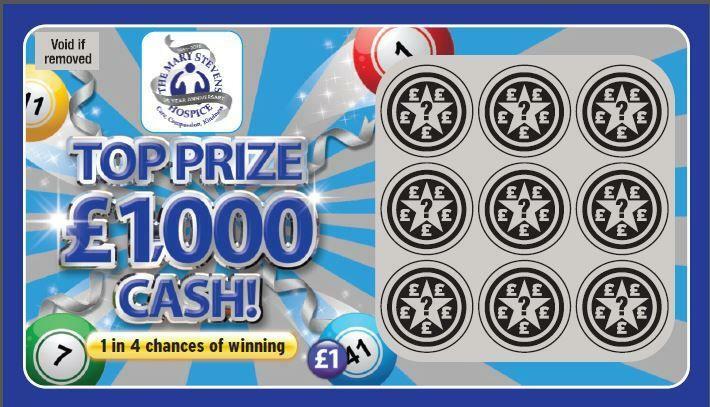 The Ideal gift for both men and women, our charity scratch cards can be provided on their own or in a personalised envelope or an 'A' card to sit perfectly by your guest's place setting. Priced at just £1 each, all funds raised by your purchase will enable us to provide, care, kindness and compassion to those living with a terminal illness in The Dudley borough, as well as parts of South Staffordshire, Wyre Forest, Sandwell, and Hereford and Worcester. A unique and fun favour for your guests to receive, our favours will help 'break the ice' and bring a little fun and excitement to the table. A win could even make someone's day as special as yours!